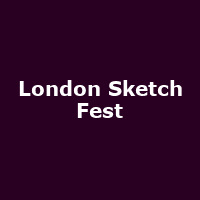 The first ever London Sketchfest will be taking place from 24-26th May 2013 in East London's Victorian Vaults on Great Eastern Street, Old Street. Deep in the vaults of the former headquarters of The United Kingdom Tea Company, the stage will be set to celebrate new British sketch comedy. Set in this unique space, and with a more theatrical approach and a stylized atmosphere, London Sketchfest is set to change the face of sketch comedy and comedy festivals.Just like sketch comedy - London Sketchfest will be more wacky, whimsical and creative.